Sword from celebrated movies. The blade is made of stainless steel. Grip with leather including wall support and wooden scabbard. Despite popular belief, combat with the long sword was a highly evolved, sophisticated art form. This was not a barbaric form of combat, but a codified martial art which utilized all parts of the sword. It is surprising to find that attacks and defenses of the Long sword were fast, effective and extremely versatile. Evidence of this fighting form can be found in medieval fighting manuals found across Europe. The manuals detail two handed techniques, one handed techniques and moves that incorporated the use of the handle and guard as offensive weapons. The combat schools and manuals for the long sword lasted about 223 years before the Rapier eventually overtook the Long Sword. 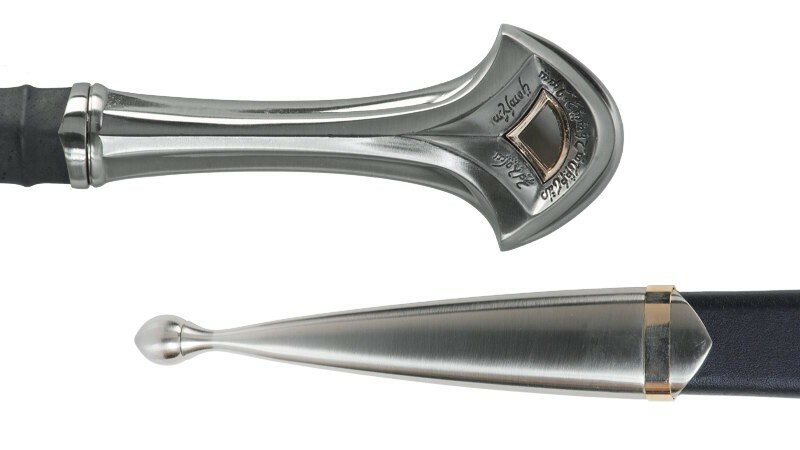 Blade: The blade of the sword has been constructed from 440 Stainless Steel with a mirror polished finish. The blade features fuller down the length of the blade. The blade comes slightly sharpened. Scabbard: The scabbard of the sword is wooden with an imitation black suede cover. The drag of the sword is a ball point design with a tough steel construction. A belt clip has been wrapped around the upper half of the scabbard. 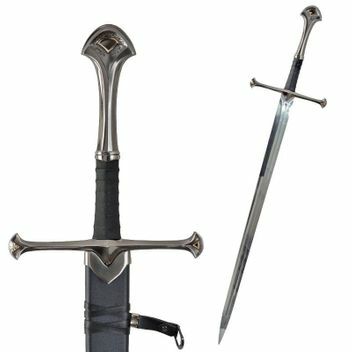 The scabbard throat is steel and fits seamlessly onto the guard. Guard: The guard is an Oakeshott Type XVIIIb guard, built from Stainless Steel with a solid feel and golden highlights at the ends of the cross guards. 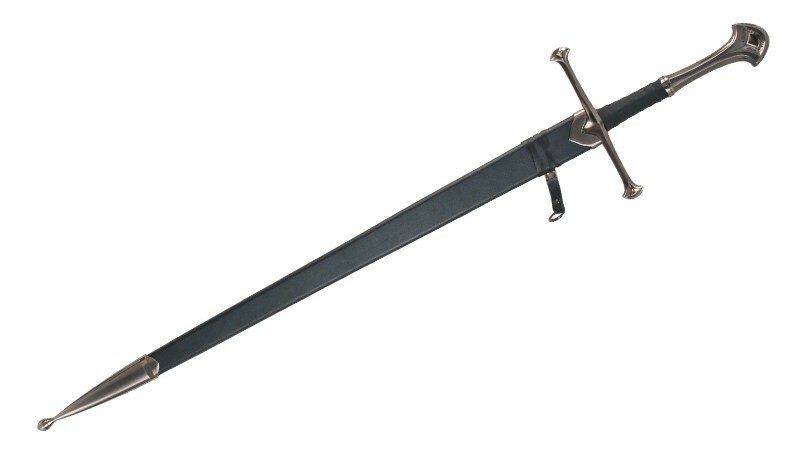 Handle: The handle of the sword features a ribbed design with a black imitation suede cover. The pommel is solid steel that balances the sword and features an ornate design with golden fittings.